The Lugarde Sophia measures 2.4 x 3.0m. 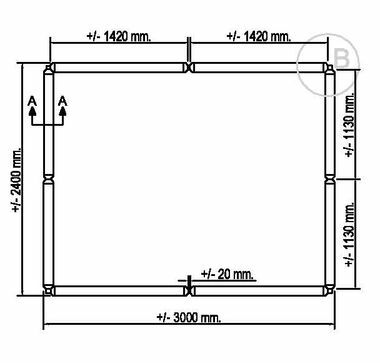 The standard design includes a solid wall and 12 x 12cm posts as shown. You have the option of choosing larch flooring, extra solid wall panels, balustrades and decorative posts. 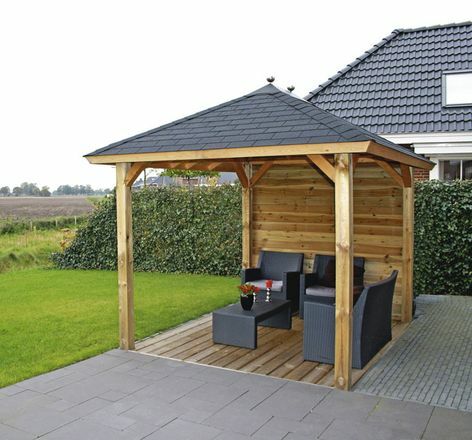 Design your own veranda and make a stunning feature in your garden. Rear wall panels, balustrades & larch floors are also available as an optional extra.